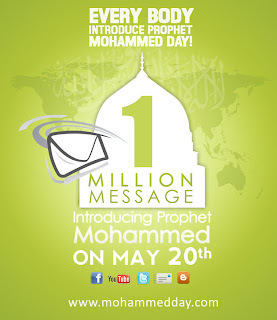 Muslim People: 20 Mei "Draw Muhammed Day" vs Introduce Prophet Muhammad Day"
Don't look at Muslims, look at Islam. Muslims are humans and can make mistakes. But Islam is from ALLAH and it's perfect .. !! 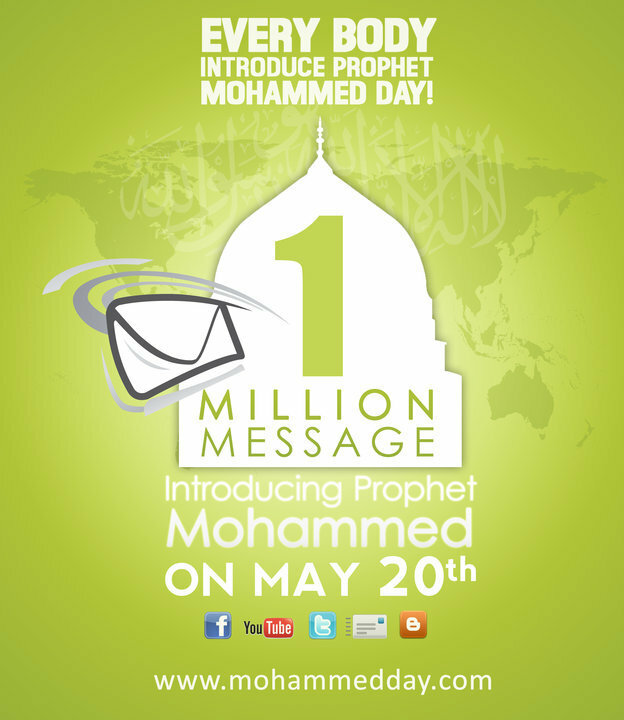 20 Mei "Draw Muhammed Day" vs Introduce Prophet Muhammad Day"
Muhammad ibn Abdullah was born in an environment of ignorance and hate; where people worshiped numerous idols and were divided into tribes. They cut ties of kinship between them and fought each other for most trivial reasons, where the strong oppressed the weak. being a good neighbor, and justice between people. He ordered them to stop tribalism, bloodshed, wish good for one another, encouraged them to give charity to the poor, to take care of the widows and the orphans, and to free slaves. He commanded them to perform prayers for God, commit to charity , fasting the month of Ramadan, to worship Allah alone and to ascribe no partners unto Him. But why do some people deliberately distort the image of our beloved Prophet Mohammad? Why do some media outlets publish lies about him? Is it a misunderstanding or is it an organized conspiracy? Or is it a mixture between the two? A mixture that happened in an age of deception. An age where the truthful is condemned to be lying, the liar is thought to be trustworthy, an age where the betrayer is entrusted and the honest is condemned of betrayal. An age of confusion between the truth and falsehood, where the truth seems false and the false seems true. But however high falsehood raises and however tough concepts get mixed, the light of God cannot be extinguished by anything, and guidance is a inevitable to those who are seeking the truth.